I have owned this 22 box, 24 overall TPD car hauler for the last 10+ years and used it during that time for mostly storage. Had kids 9 years ago and racing and race projects where put aside for a while. 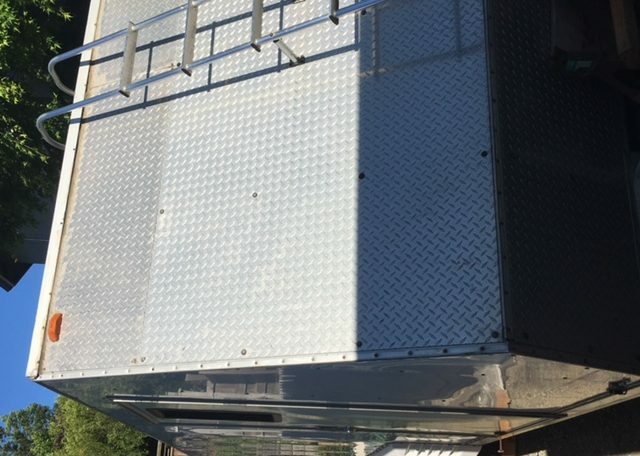 The trailer was purchased with all of the diamond plate installed on the front and a sheet of aluminum installed on the front half of the roof. This was done so you could walk on it. 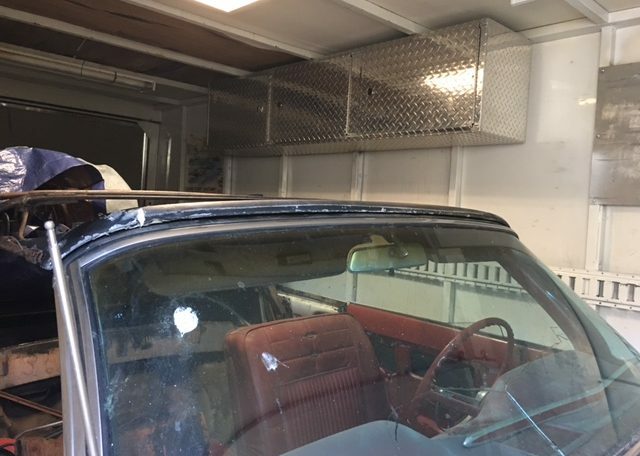 Found out that there where leaks and that it would need new sealing and eventually some work to the paneling inside. I always used in summer and just kept covered in winter. 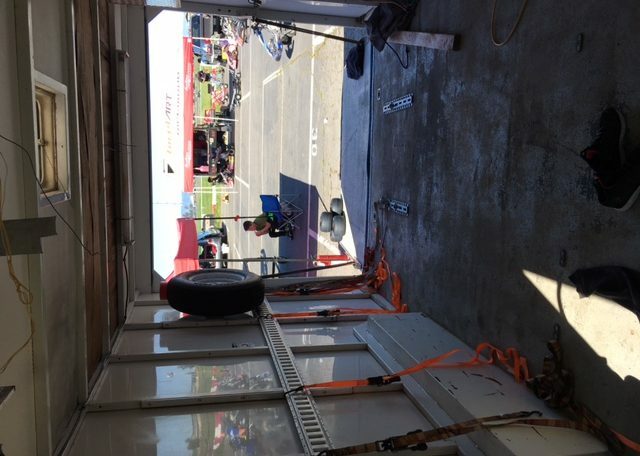 The trailer has plenty of e track sides and floor with many d ring tie downs. Front shelf was installed at the factory, I installed a diamond plate 3 door cabinet. There are plenty of e track accessories included. I recently had a small accident and the trailer came of the hitch at low speed, Damaged the auto lift (easy repair). Was in an intersection and quickly re installed and drove it home. My bad…the rear brakes locked when it fell and I and my diesel did not notice. The front brake assembly was damaged, bearings and drums will need to be replaced. Not expensive parts and an easy fix for most mechanical types. I have replaced the trailer and decided to just let this go as is. 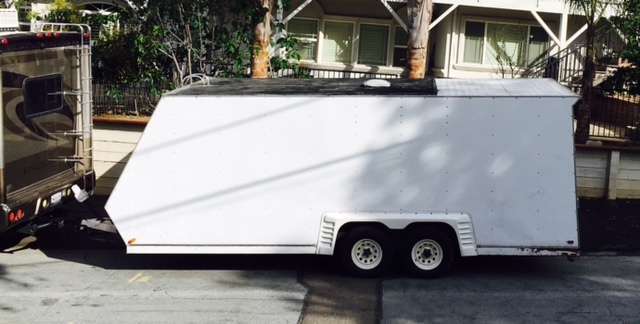 I had purchased the trailer with a permanent trailer plate and a receipt from the owner no title. 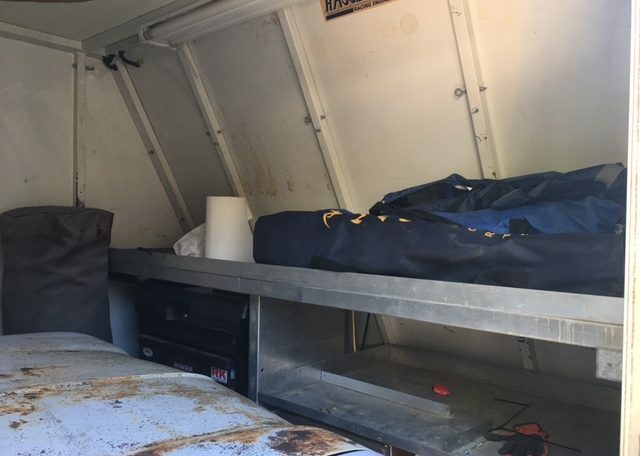 This is a great trailer and if your shopping here you know that, For very little money and a busy weekend and DMV trip you could have the dream TPD car hauler for way below others.